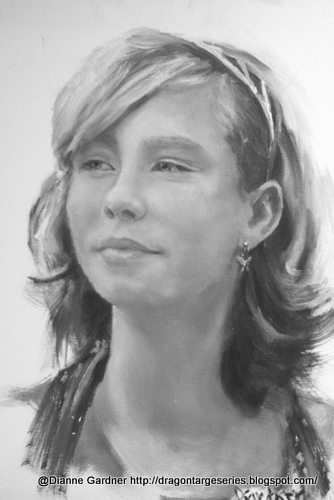 Today, I’m pleased to be interviewing Abbi, a character from Dianne Lynn Gardner’s epic series, The Ian’s Realm Saga. The first book in the series, Deception Peak, has just been re-released by Rara Avis and is now available from Amazon and other retailers. 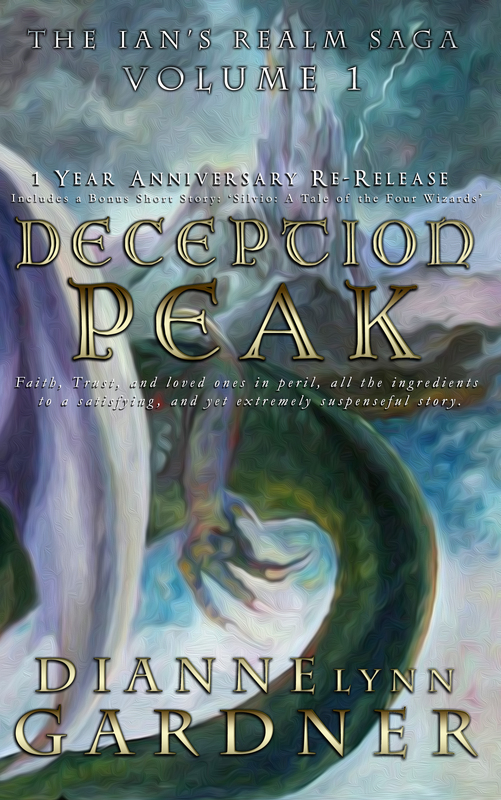 A little about the book: The first book of the Saga, Deception Peak is a young adult adventure fantasy about a teenager, Ian Wilson, who follows his father through a portal that magically appears on their computer screen. They travel into a deceptively beautiful Realm, where horses run free, the wind sings prophetic melodies, and their computer avatars come to life. But when the two are separated, Ian is abducted by a tribe of dragon worshipers and is forced to find his courage. As he struggles for his freedom and embarks on a perilous search to find his father, Ian meets the true peacekeepers of the Realm. It’s then that he learns there is a greater purpose for being in there. Now that you’ve read about the novel, let’s hear from Abbi! Gwen: Okay, Abbi, here’s my first question: How did you meet Ian? What were your first thoughts upon meeting him? Abbi: I met Ian in my freshman class. We were in math together and I was amazed at his skills. He never spoke much, kept to himself, but whenever he was called on he just rattled off the answers like he was some kind of computer or something. Then he’d just act all nonchalant. The boys laughed at him though and I felt sorry for him. He’s really good looking and he has the sweetest smile. I could tell the laughing irritated him but he never did anything, not until Johnny Cramer came along when we were sophomores. John was new to the neighborhood but boy he got a following really quick. He’s full of himself, that dude. Gwen: So what did you think about when you saw the Realm for the first time? Did that change what you’d thought about Ian? Abbi: Well, it blew me away when I saw those lights and Ian and his dad disappeared. But I didn’t know it was the Realm, you know. I thought something horrific happened to them. But when Ian clammed up about it not only did it raise my curiosity, but it got me mad because I usually can persuade Ian to talk about things he doesn’t tell anyone else. Then when his dad popped in from the portal I was like…WOW! Once Alex started explaining things I was hooked. It bugged me to no end that Ian didn’t want me there. It hurt. I thought I was his friend. I guess he was just being his normal self though. It takes Ian a while to adjust to things. I knew things would be okay between us when he helped me back on my horse. But the Realm? uh uh. No…not my cup of tea, not with a dragon. Gwen: Wait–what do you mean, dragons? Abbi: That was the rumor going around. That little talking man – who was mind blowing enough -mentioned a dragon and I was out of there. Then when I realized Ian and his dad went back in I’m terrified. I’m really worried about them. I keep checking their house but no one’s been home and the door is locked. The computer is still on, I can see the stars on the screensaver when I look in the window. I don’t know what to do. I’d hate to report them as missing and get the police involved. Gwen: What are you going to do now? Do you think Ian and his dad will return? Abbi: All I can do is hope. That’s it. I’ve been checking their mail. I suppose at some point I’ll have to tell someone. I’m going to give it another week. If there’s no sign of either of them by then, I don’t know. Maybe I’ll tell mom and dad…I’m scared for them and I miss Ian, I reallly do. I hope he’s okay. Want to find out how Abbi’s story ends? What happens to Ian and his father in the Realm? Check out the links below to find out more! Enter an awesome giveaway for the series here!